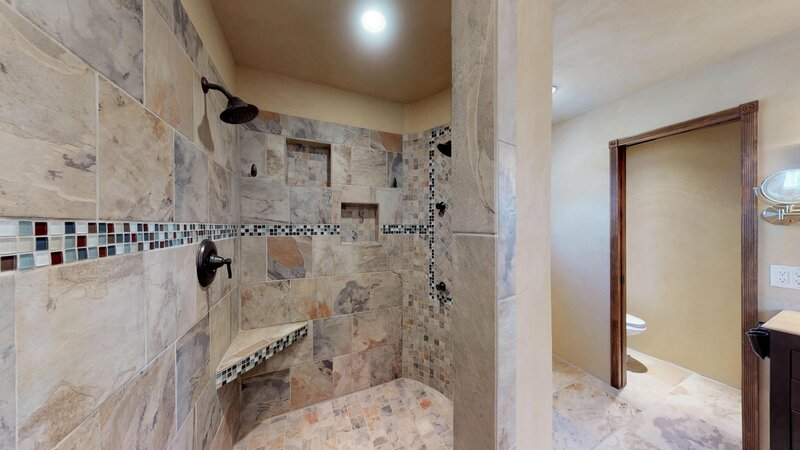 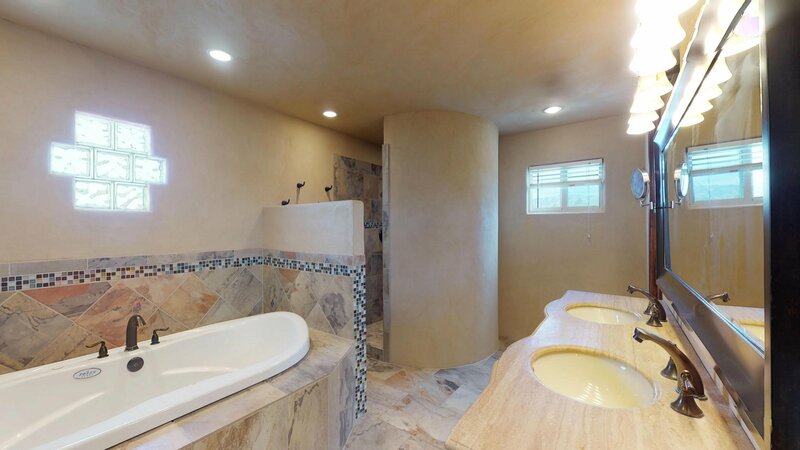 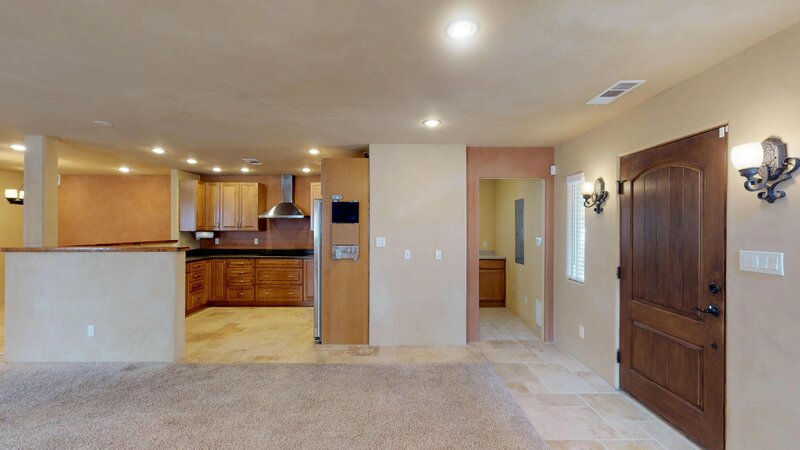 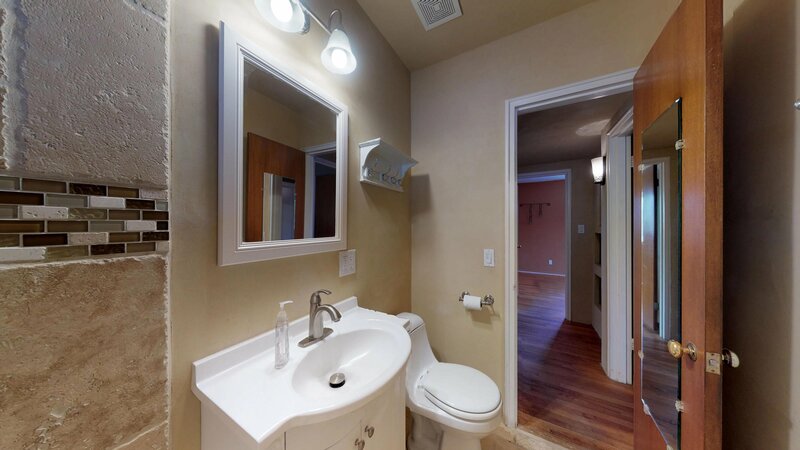 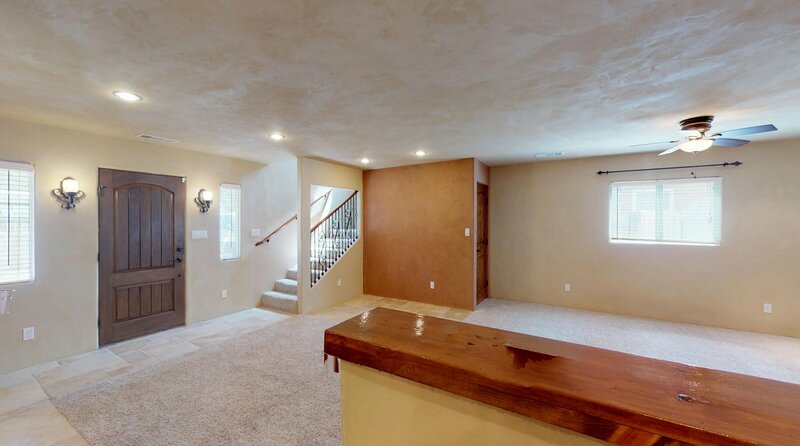 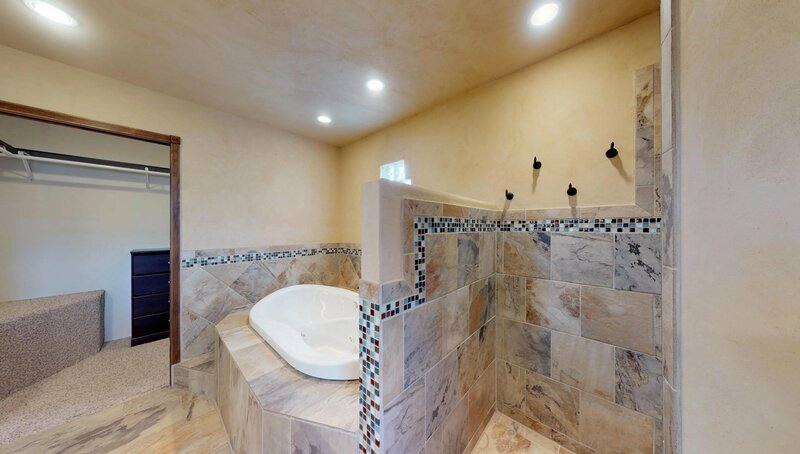 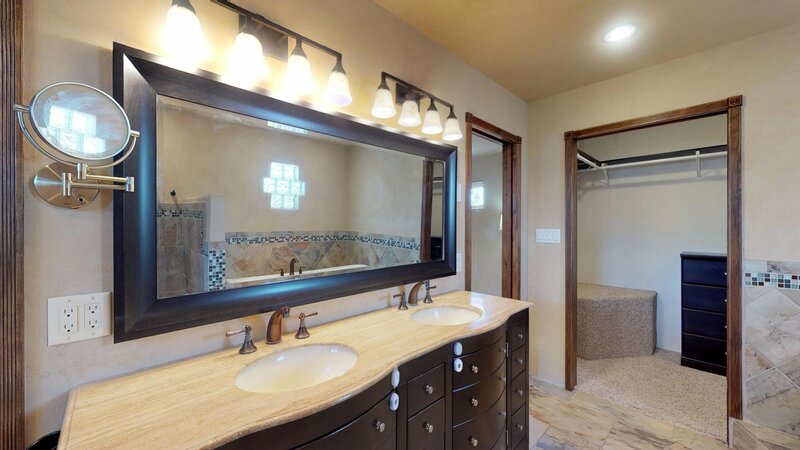 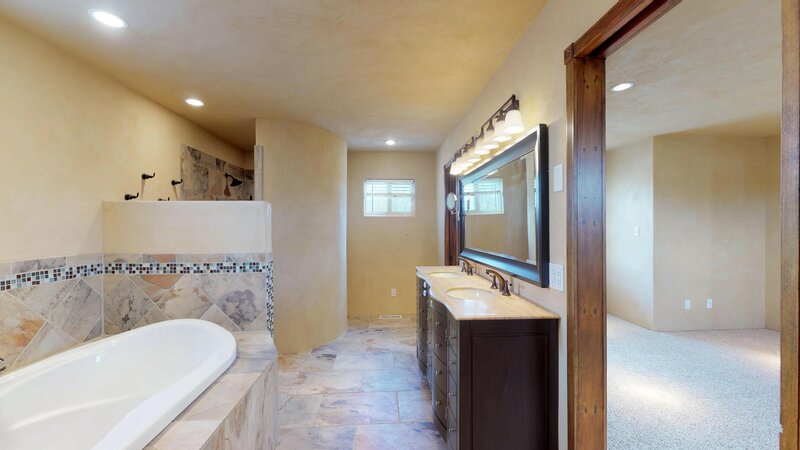 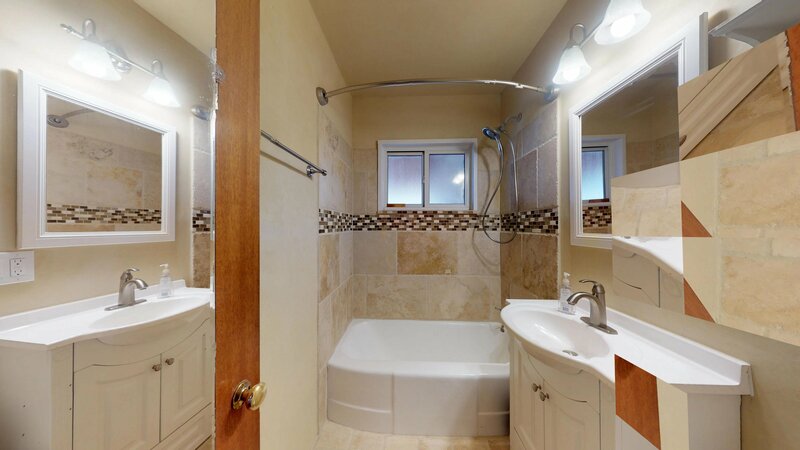 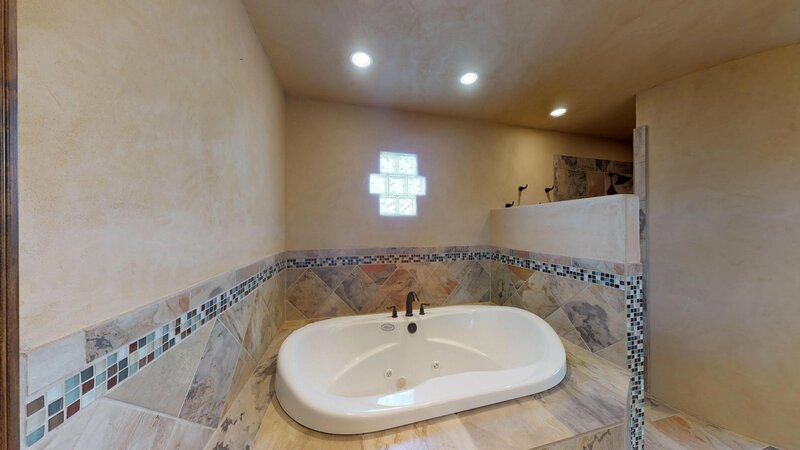 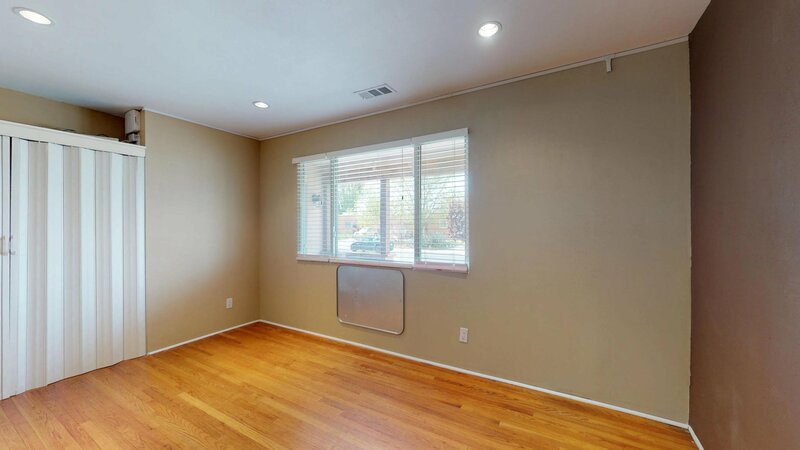 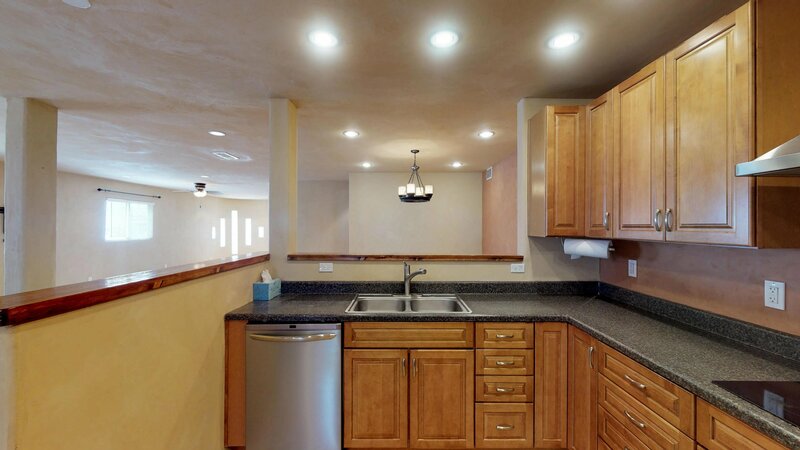 2010 remodel includes updated plumbing and electrical systems for entire home along with a gorgeous upstairs master suite. 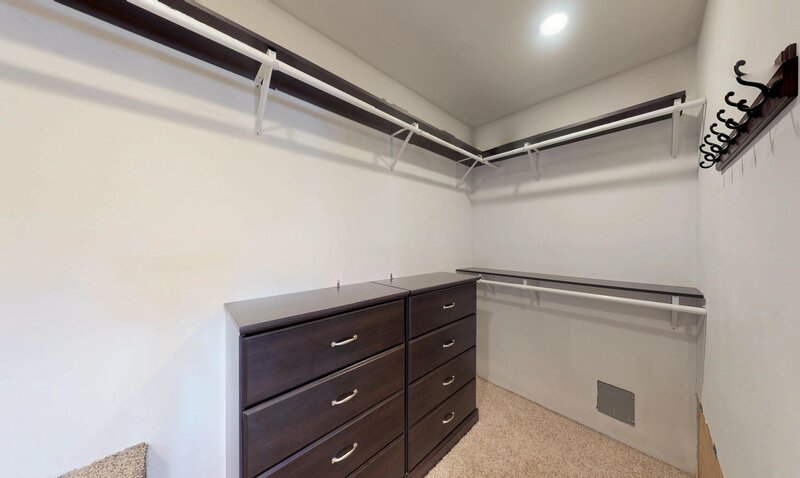 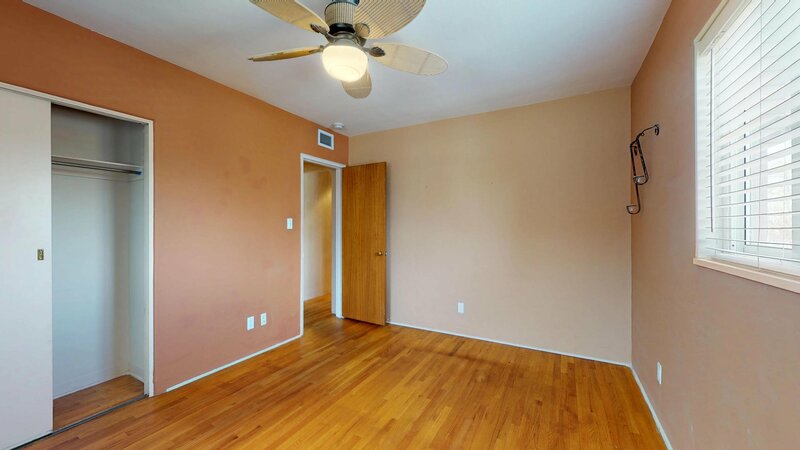 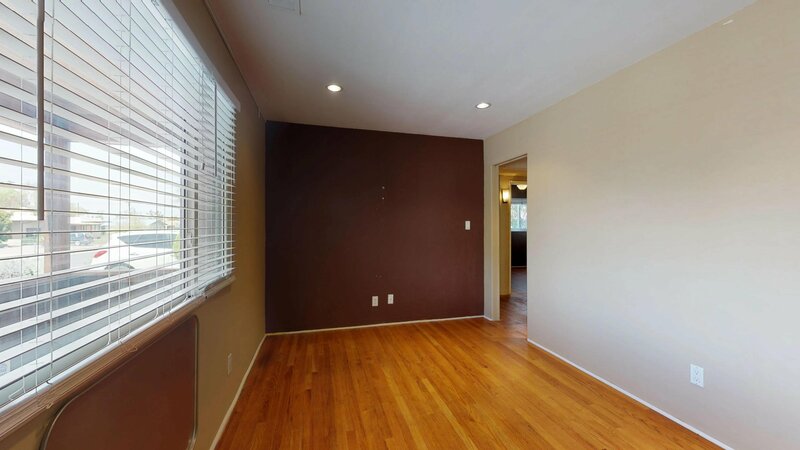 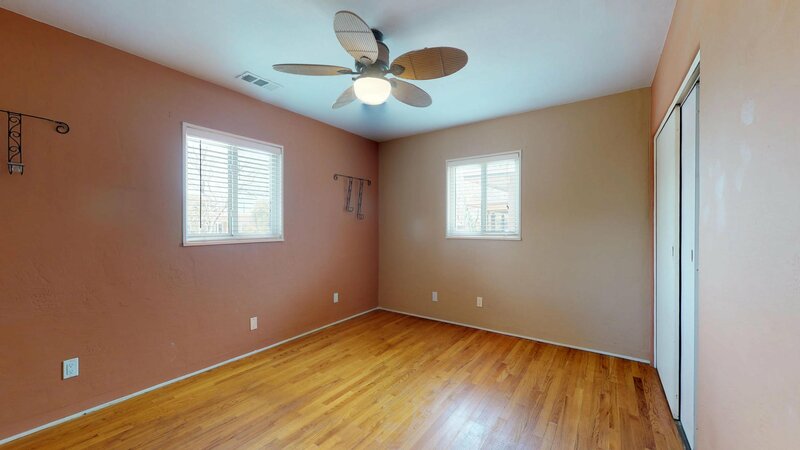 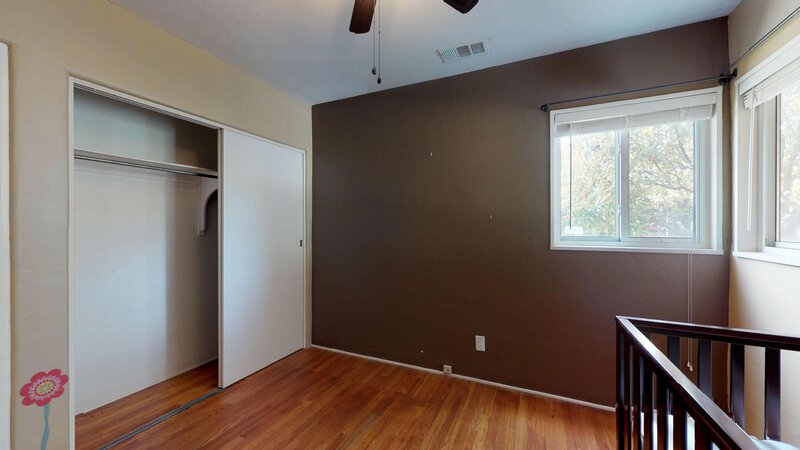 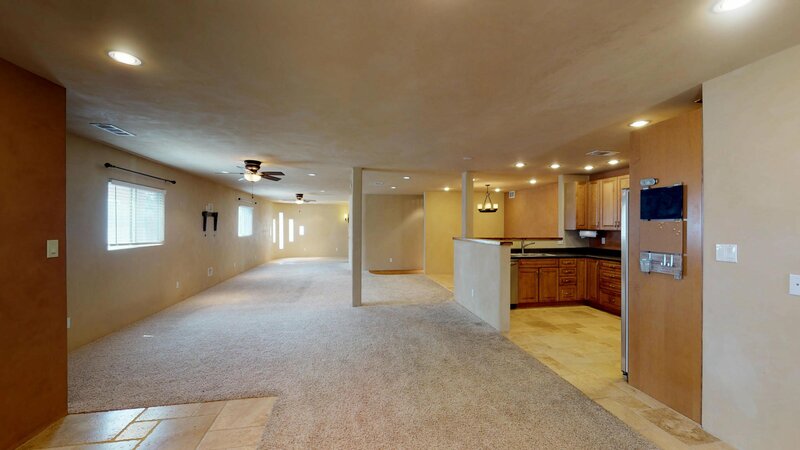 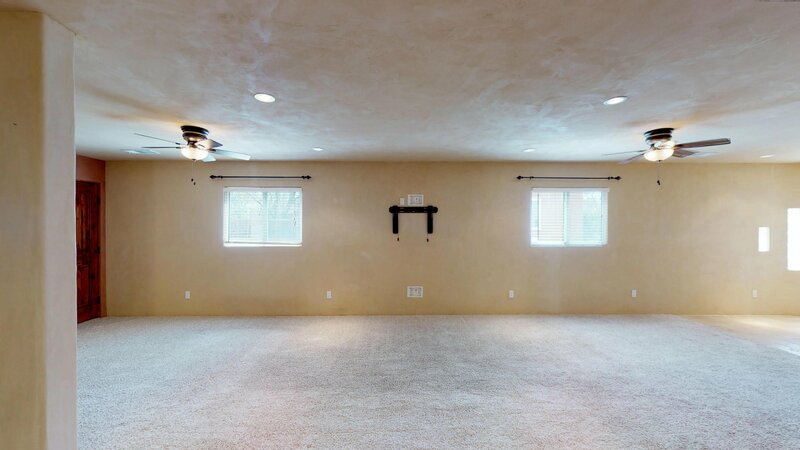 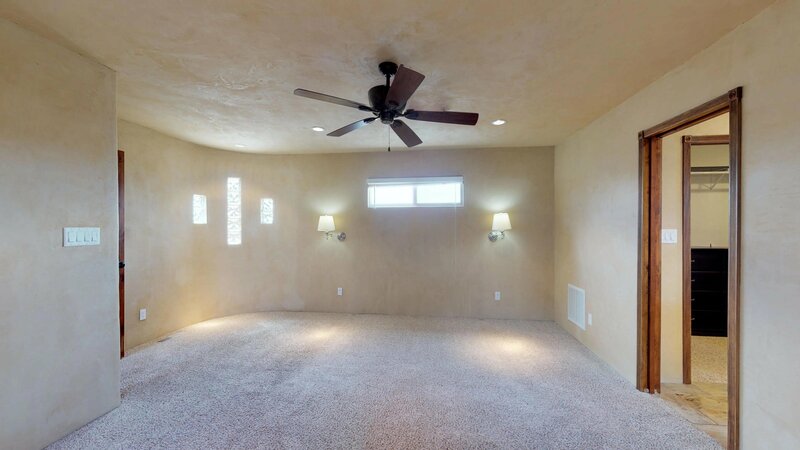 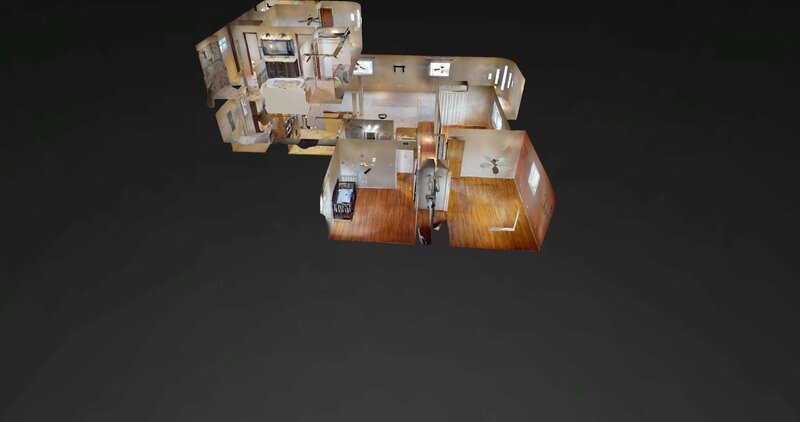 Open inviting floor plan is approximately 2400 square feet with 4 bedrooms and two full baths. 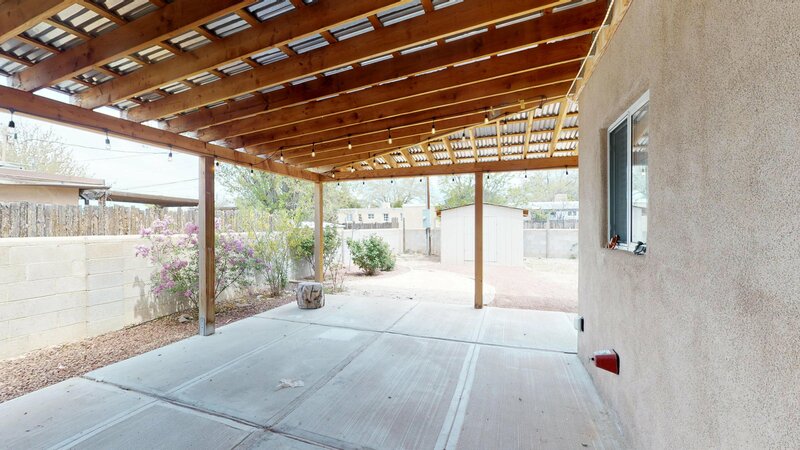 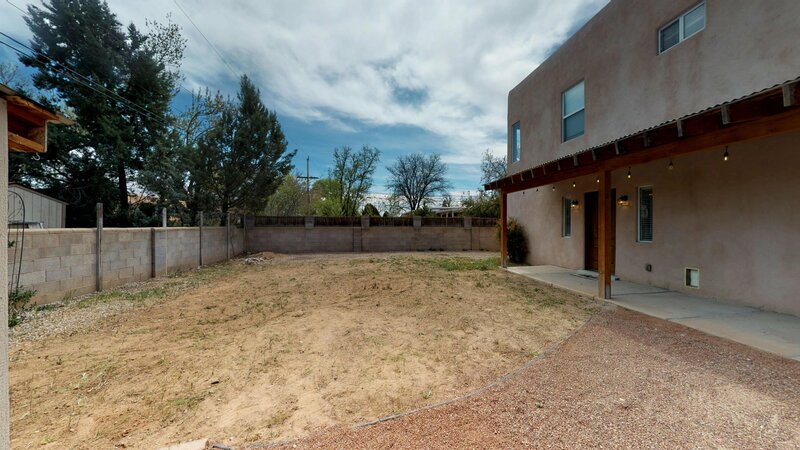 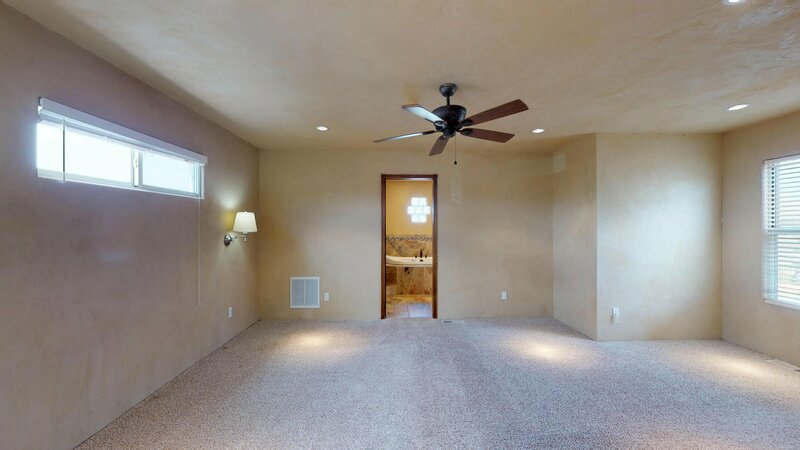 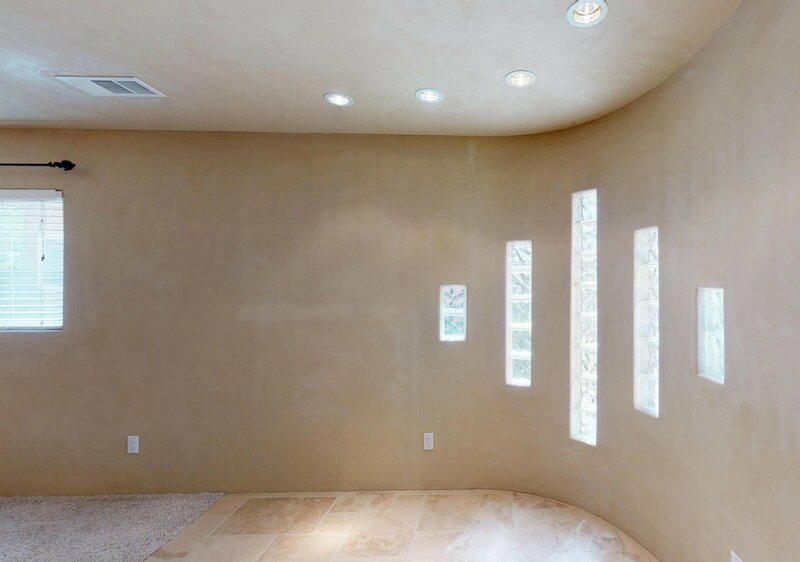 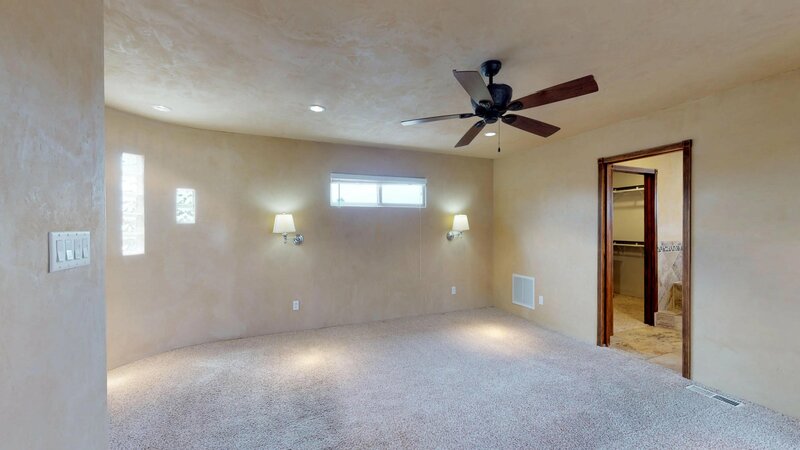 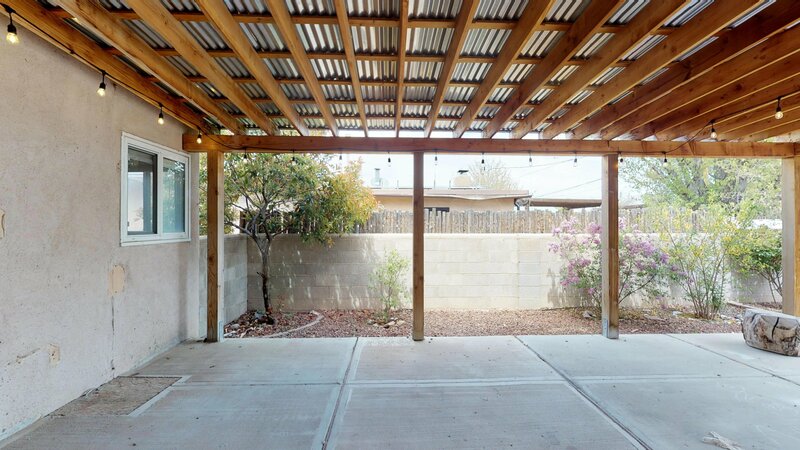 Backyard access with room to park RV,covered patio plus energy efficient windows and combo rooftop heating/cooling unit, travetine floors in kitchen and dining area and hand troweled American clay walls in living and dining areas as well as master suite. 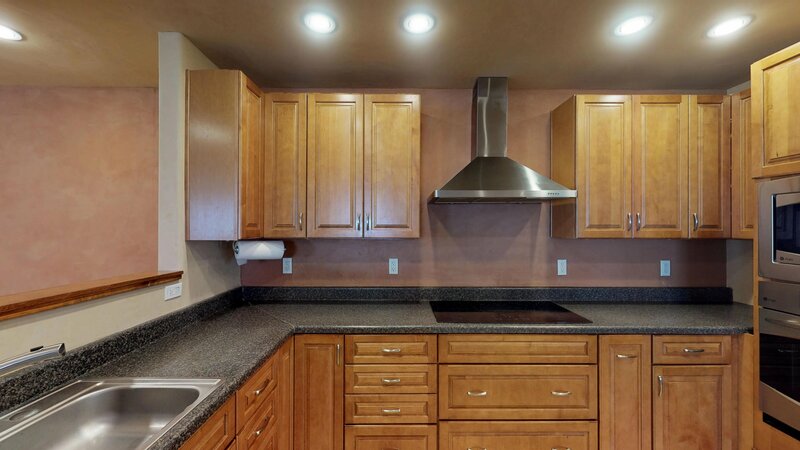 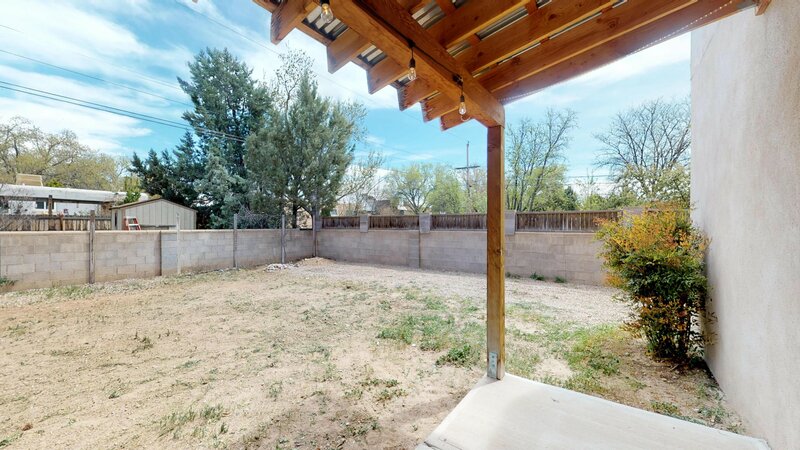 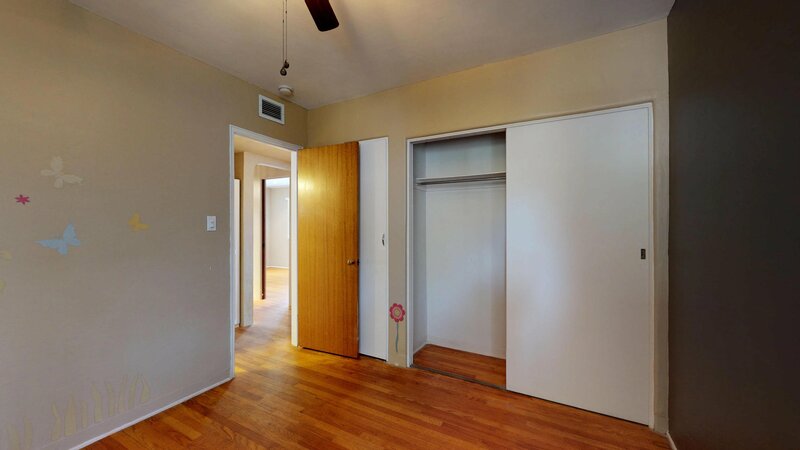 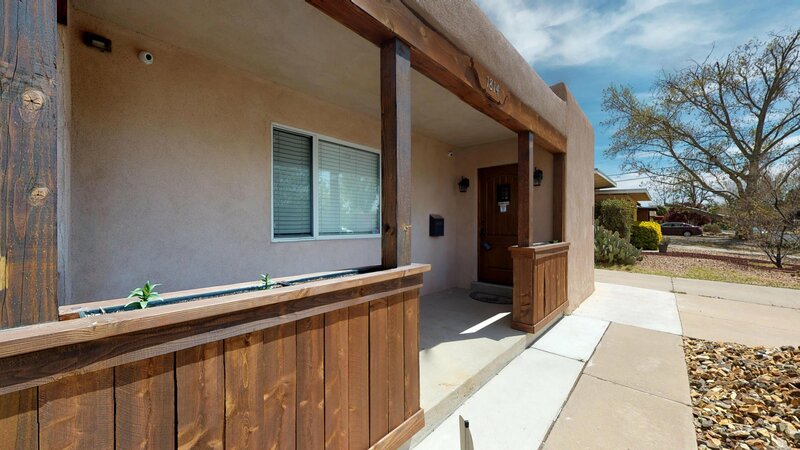 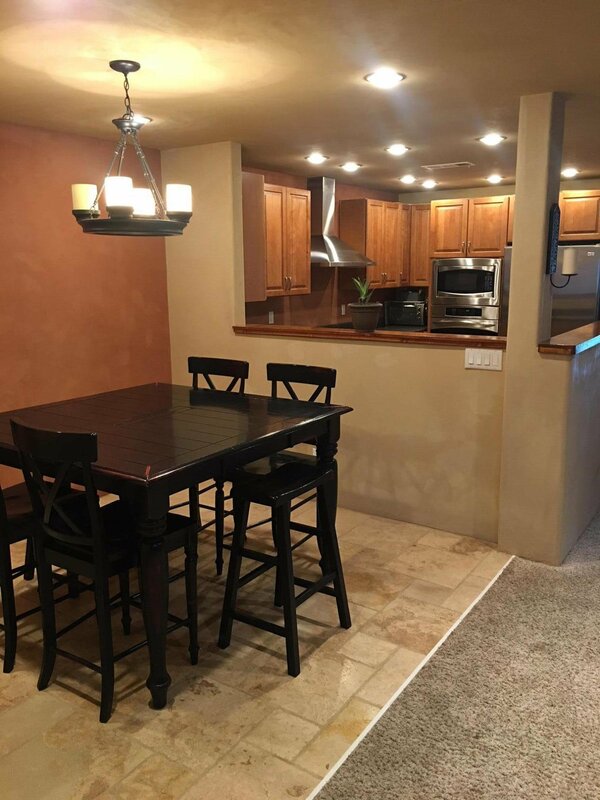 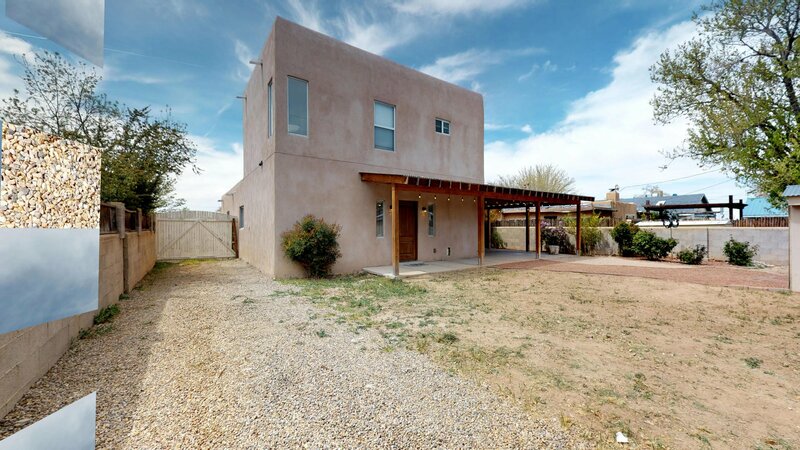 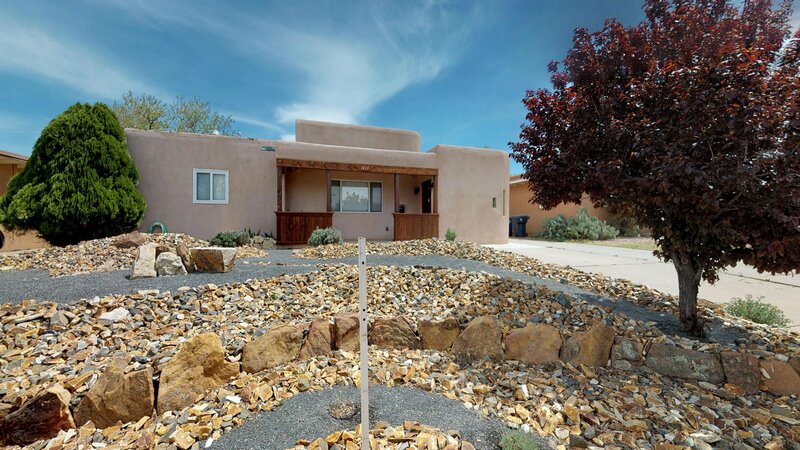 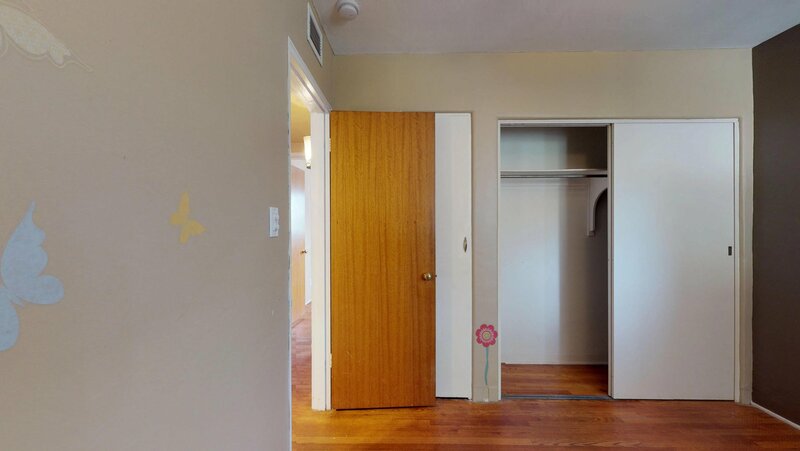 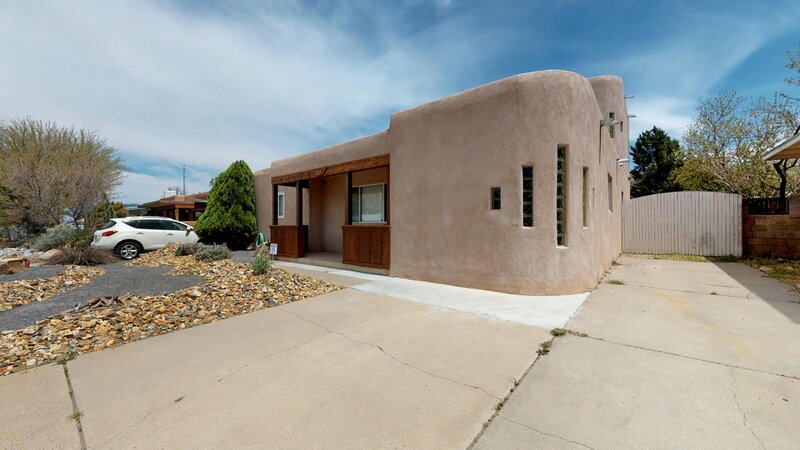 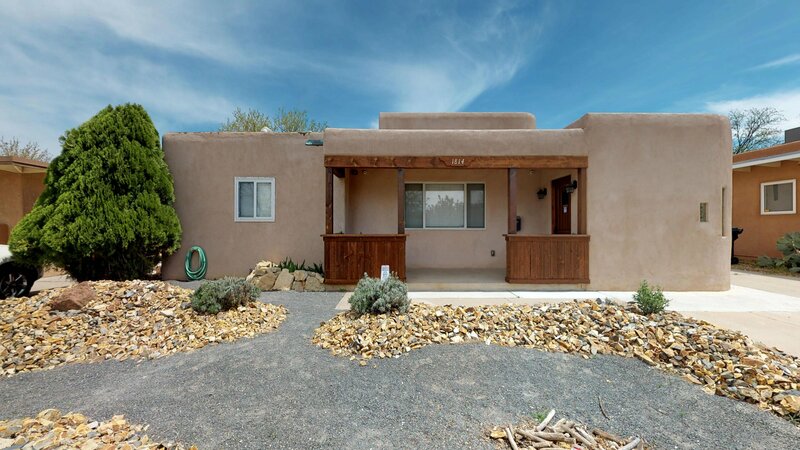 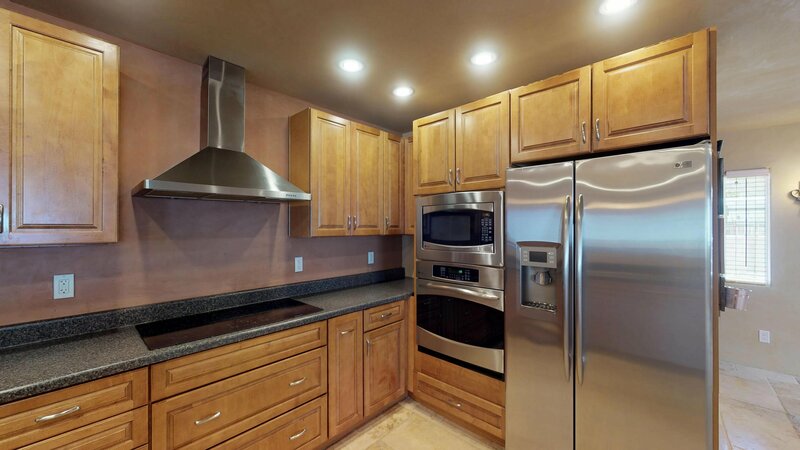 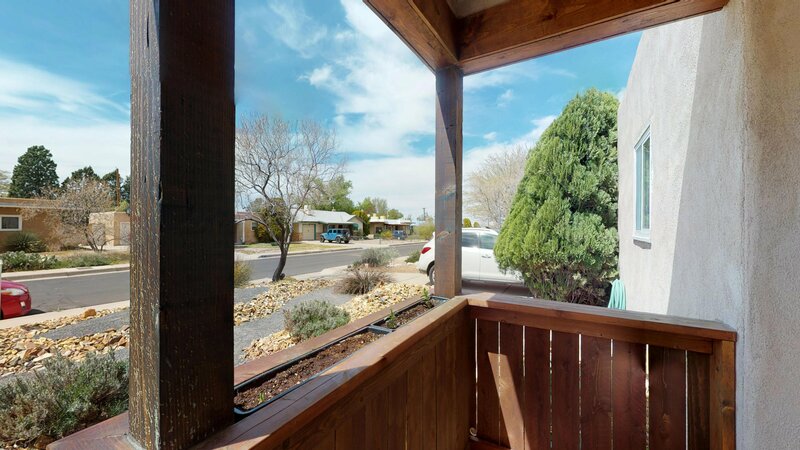 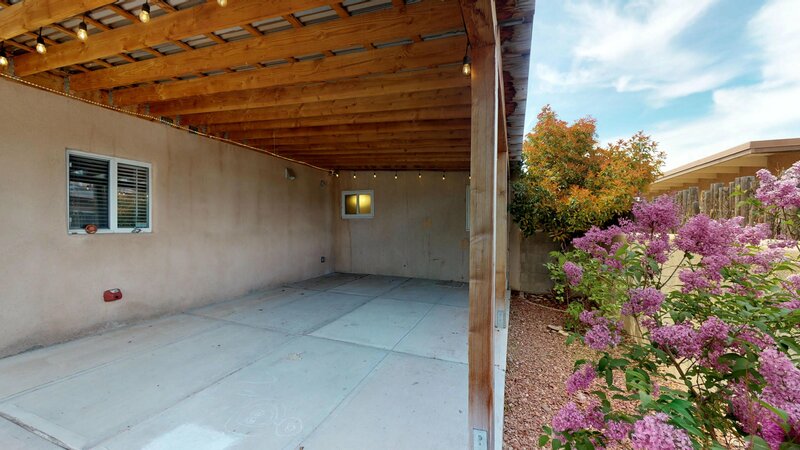 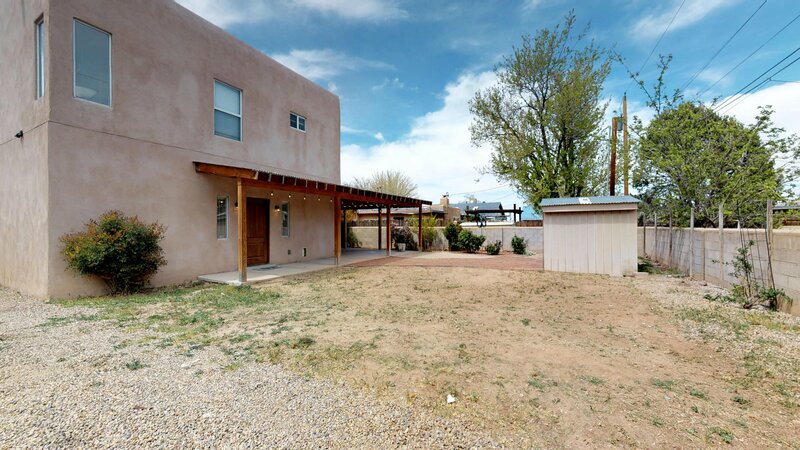 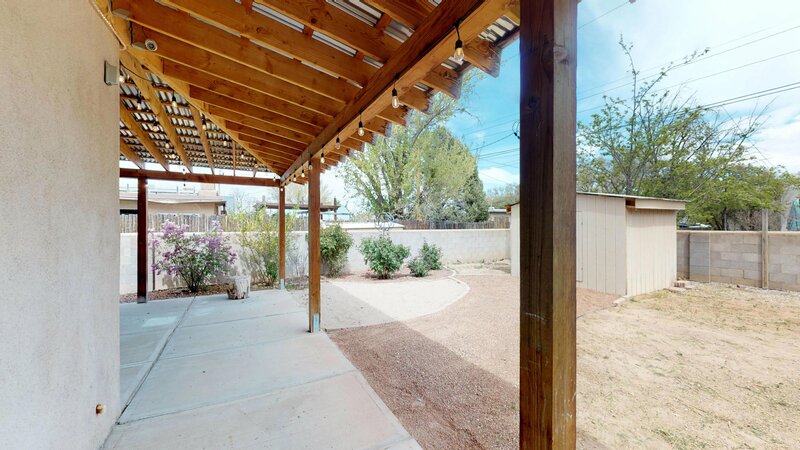 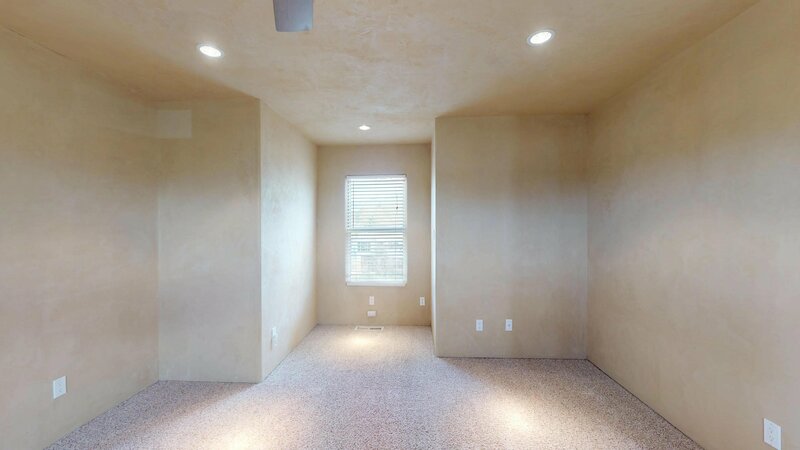 Location provides easy access to UNM, Altura Park, Whole Foods, I40 and Nob Hill. 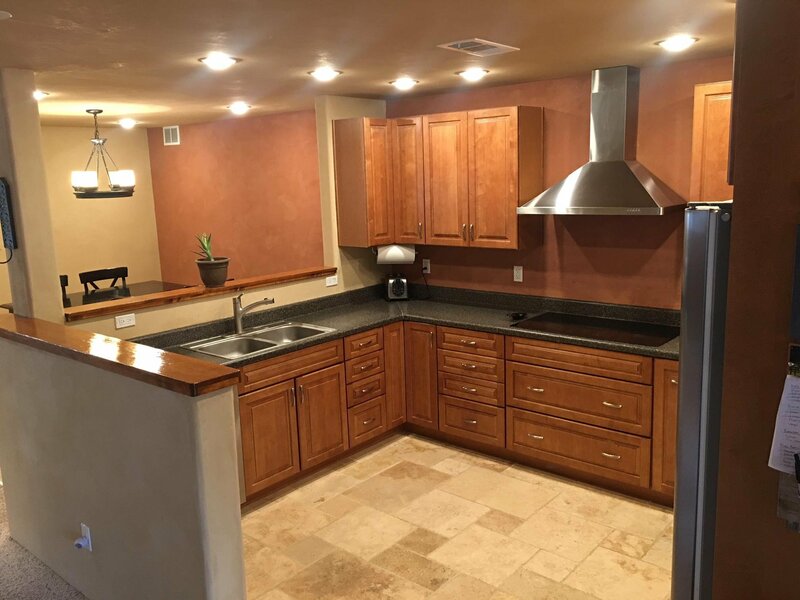 There are maple cabinets and stainlees steel appliances in the kitchen, a sink in the laundry room and a professionally installed security system with 4 cameras.